A 180-gram 4LP vinyl set housed in a 2 piece lift off lid box and gatefold sleeves with a 16 page 12”x12” stapled book. The minimalist artwork for ‘The White Album’ was created by artist Richard Hamilton, one of Britain’s leading figures in the creation and rise of pop art. The top-loading gatefold sleeve’s stark white exterior had ‘The BEATLES’ embossed on the front and printed on the spine with the album’s catalogue number. Early copies of ‘The White Album’ were also individually numbered on the front, which has also been done for the new edition’s Super Deluxe package. 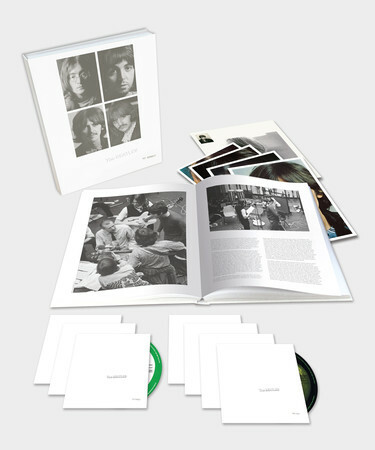 The set’s six CDs and Blu-ray disc are housed in a slipsleeved 164-page hardbound book, with pull-out reproductions of the original album’s four glossy color portrait photographs of John, Paul, George, and Ringo, as well as the album’s large fold-out poster with a photo collage on one side and lyrics on the other. The beautiful book is illustrated with rare photographs, reproductions of handwritten and notated lyrics, previously unpublished photos of recording sheets and tape boxes, and reproduced original ‘White Album’ print ads. The book’s comprehensive written pieces include new introductions by Paul McCartney and Giles Martin, and in-depth chapters covering track-by-track details and session notes reflecting The Beatles’ year between the release of ‘Sgt. Pepper’ and recording sessions for ‘The White Album,’ the band’s July 28 1968 “Mad Day Out” photo shoot in locations around London, the album artwork, the lead-up and execution of the album’s blockbuster release, and its far-ranging influence, written by Beatles historian, author and radio producer Kevin Howlett; journalist and author John Harris; and Tate Britain’s Senior Curator of Modern and Contemporary Art Andrew Wilson. 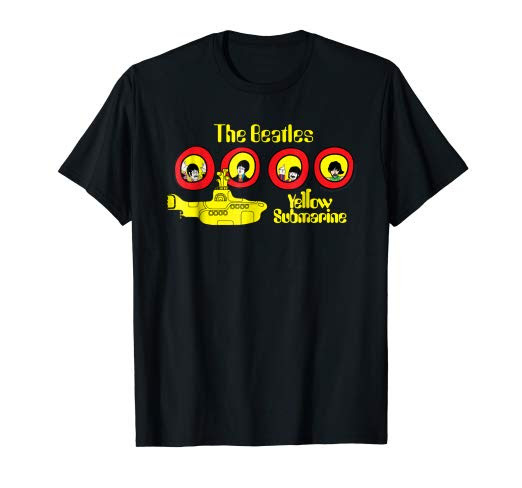 The BEATLES (‘White Album’) was the first Beatles album to be released on the group’s own Apple Records label. Issued in both stereo and mono for the U.K. and in stereo for the U.S., the double album was an immediate bestseller, entering the British chart at number one and remaining there for eight of the 22 weeks it was listed. ‘The White Album’ also debuted at number one on the U.S. chart, holding the top spot for nine weeks of its initial 65-week chart run.